“A fantasy on wheels.” That’s one way to describe the flashy and futuristic concept cars of the 1950s. These attention–getting “dream cars of tomorrow” were built to wow the public at popular auto shows and GM’s traveling Motorama. In 1954, over two million car lovers flocked to auto shows to drool over the sleek Buick Wildcat II, the radically styled Oldsmobile Rocket, the GM Firebird I (basically, a stylized jet with four wheels), and many other wild and colorful show cars. None of these vehicles were ever produced, but some styling cues and technology found their way onto future production cars. 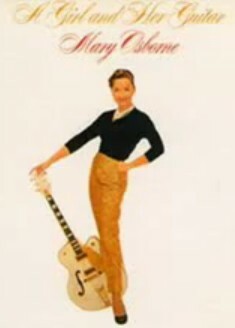 Jimmie Webster — Gretsch’s main guitar guru, designer, and ambassador of the 1950s — loved cars. 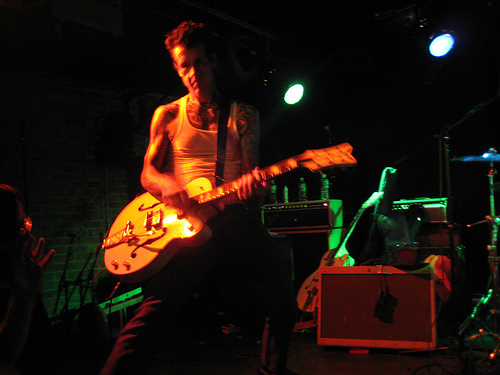 He kept his eye on what was trending out of Detroit’s Big Three and even introduced two car–themed Gretsch guitar finishes in 1954: Jaguar Tan and Cadillac Green. 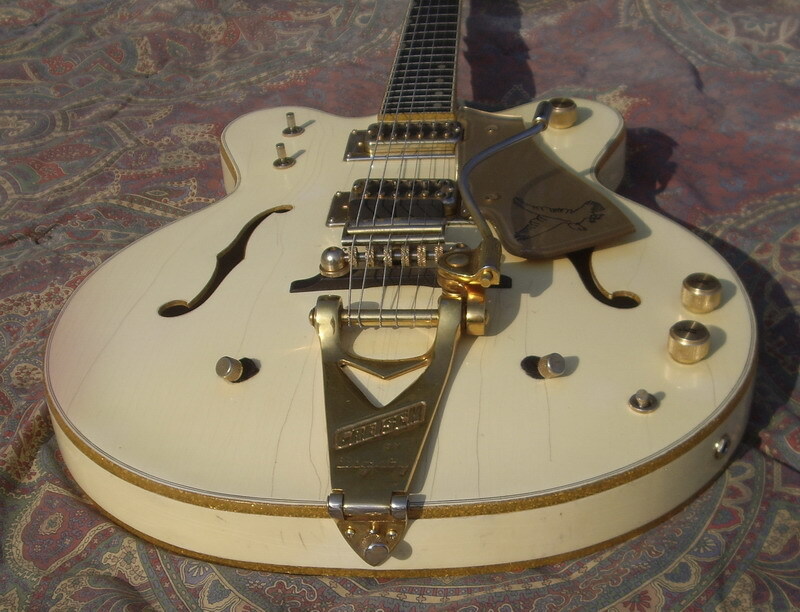 And at the 1954 NAMM Show in Chicago, Webster imitated the concept and show car idea by unveiling his White Falcon — a dazzling, bejeweled, white and gold one–off prototype he dubbed the “Guitar of the Future.” He even had it displayed on a rotating pedestal with spotlights for a full Guitarama effect. 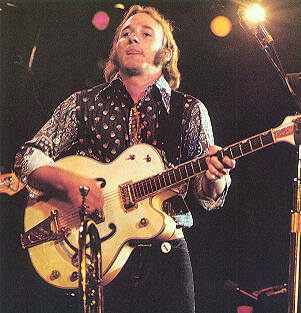 The same famous words that Ralphie’s dad used to describe his prized Leg Lamp in A Christmas Story also apply to the Gretsch White Falcon. 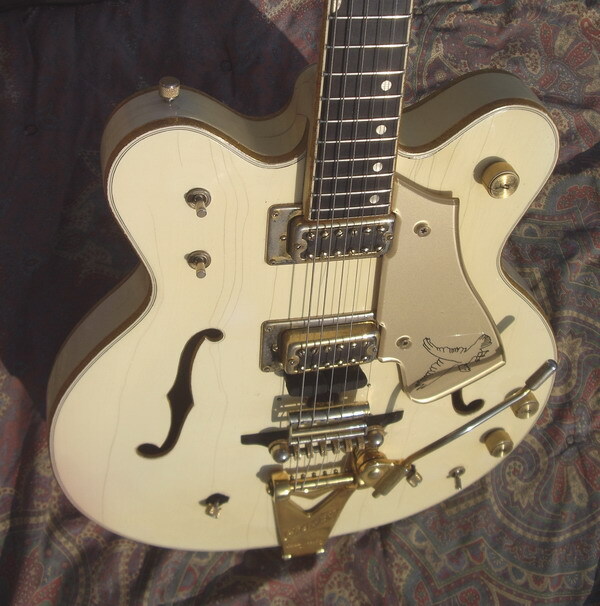 With its bright white finish, 24–karat gold appointments, two DeArmond DynaSonic pickups, gold sparkle binding from the Gretsch drum department, a winged headstock with a vertical Gretsch logo, feather–engraved neck inlays, and a fancy gold tailpiece that looked like a Cadillac hood ornament, the White Falcon was simply a stunning statement of beauty and luxury. There was nothing else on the planet like it. 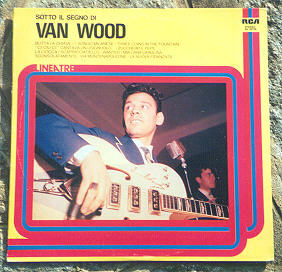 Remember, this was 1954 when guitars were rather understated and mostly available in natural or tobacco sunburst finishes. The music dealers’ reaction to Webster’s dream guitar was overwhelming, and they eagerly lined up to put their names on the order list. 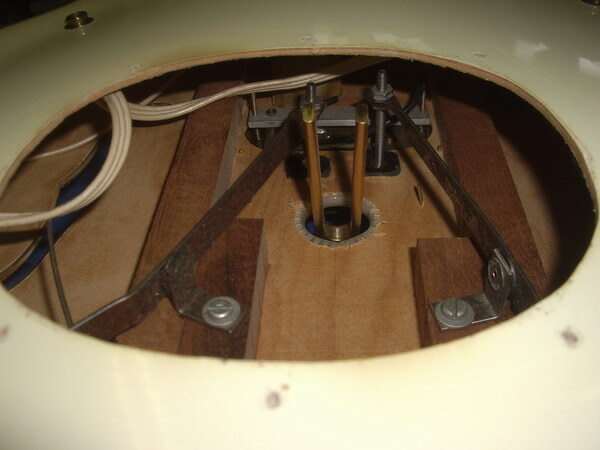 Webster and Fred Gretsch Jr. (the company’s president) may have been smiling on the outside, as they had obviously hit a home run with this prototype. But I'm sure their inner selves felt a little differently. 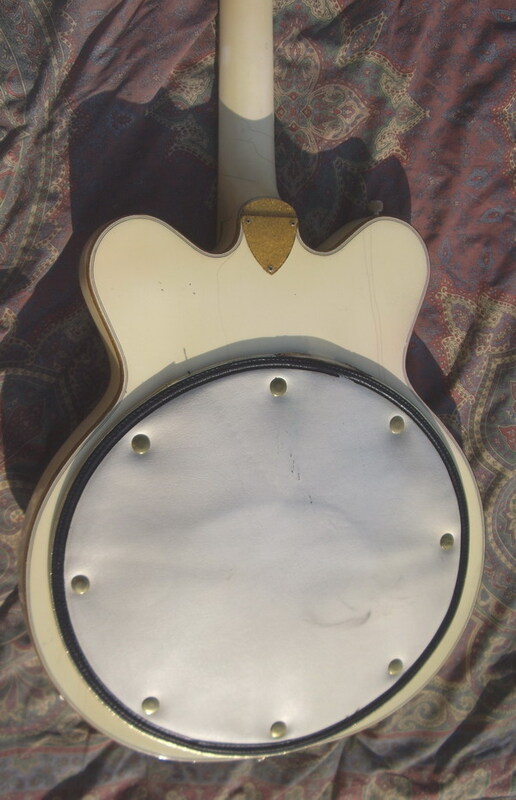 Both men realized how difficult and time–consuming the White Falcon would be to manufacture at their Brooklyn factory. But at this point, they had no choice but to put Webster’s prototype into production. 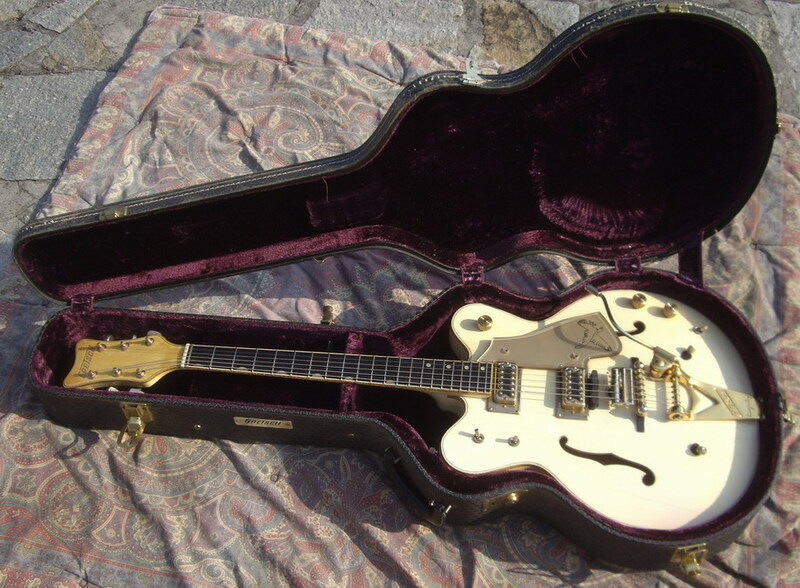 The flagship White Falcon was officially added to the 1955 lineup of colorful Gretsch guitars priced at a whopping $600 — about $5,500 today. Considering the median family income was $5,000 in 1955, this "Cadillac of Guitars" was really more in the "Rolls Royce of Guitars" sphere. 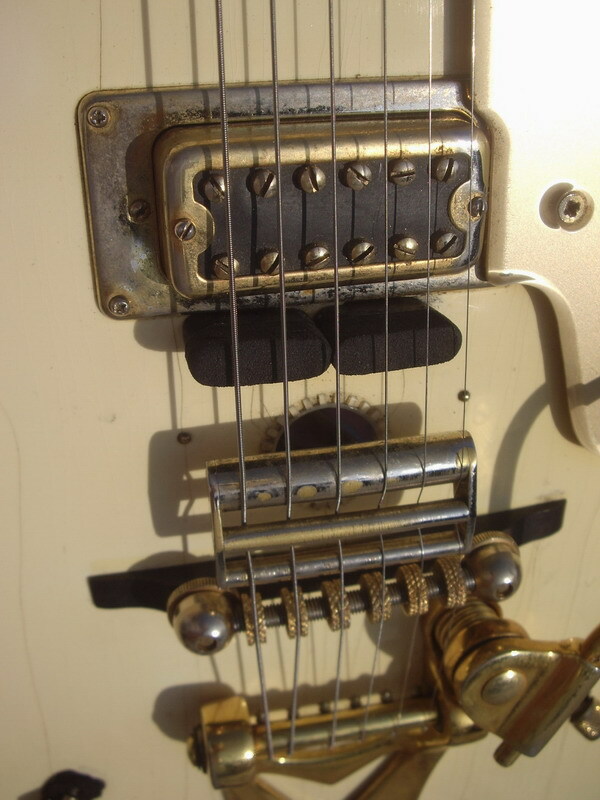 In 1958, humbucking Filter’Tron pickups were added, as well as a stereo option that Webster called the Project–O–Sonic. 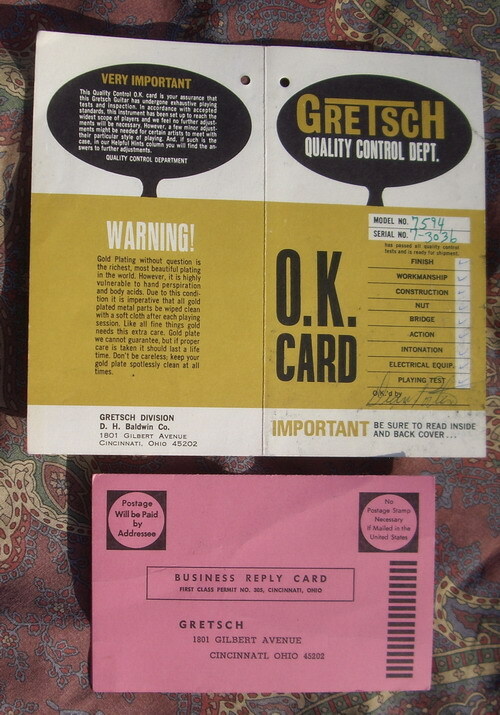 Stereophonic sound was starting to gain popularity in the recording industry, and Gretsch wanted to be at the forefront of this new trend. 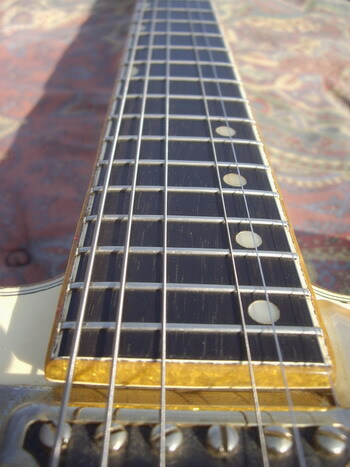 Webster received a patent for his stereo pickup design and recorded an album produced by Chet Atkins called Unabridged that showcased both his stereo White Falcon and his unique two–handed tapping playing technique. 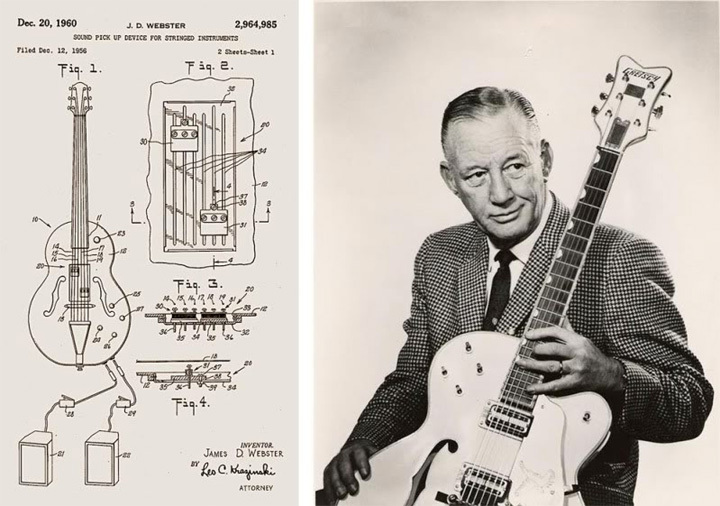 Webster was dubbed the “Father of the Touch System” and played, recorded, and gave dealer demonstrations on his tapping technique years before Eddie Van Halen was even born. 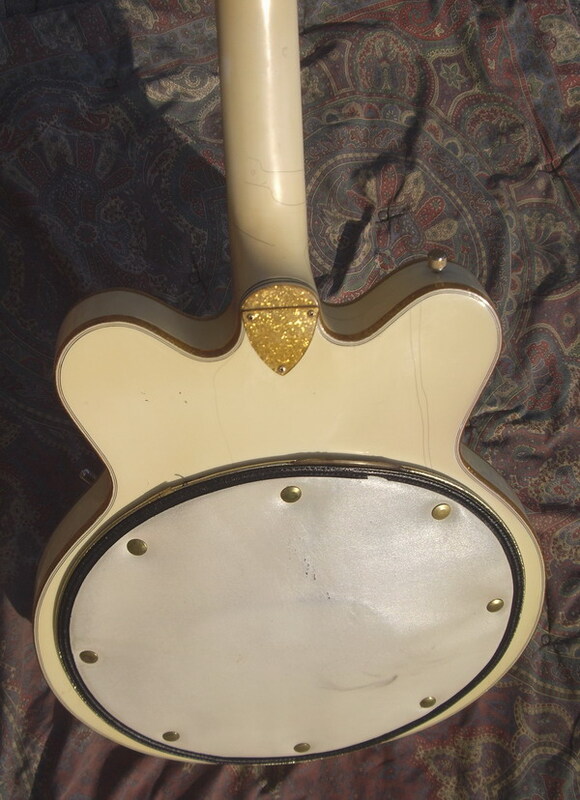 The top–of–the–line White Falcon continued to evolve well into the 1960s. 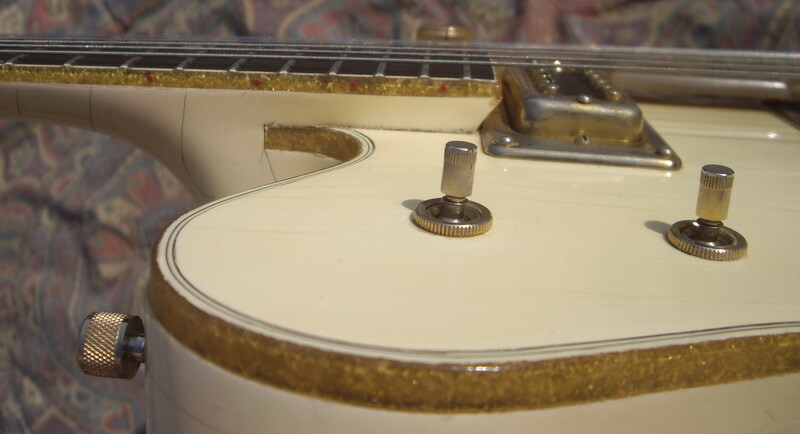 A thinner, double–cutaway model was introduced in 1962, and Bigsby vibratos became stock in 1964. 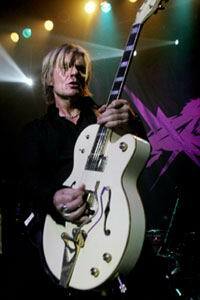 But by the end of the decade, the White Falcon had become totally overloaded with Webster’s guitar gadgets. 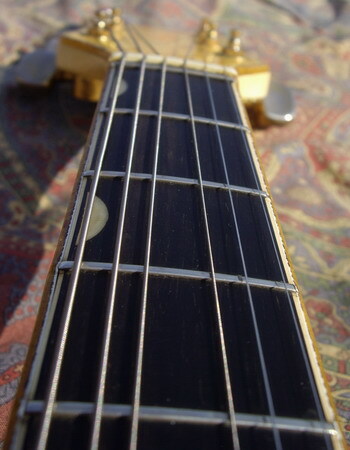 Double mechanical string mutes, floating sound units to increase sustain, telescopic vibrato arms, padded backs, and even angled frets to supposedly “improve intonation” had been added to the guitar with mixed reactions from players. 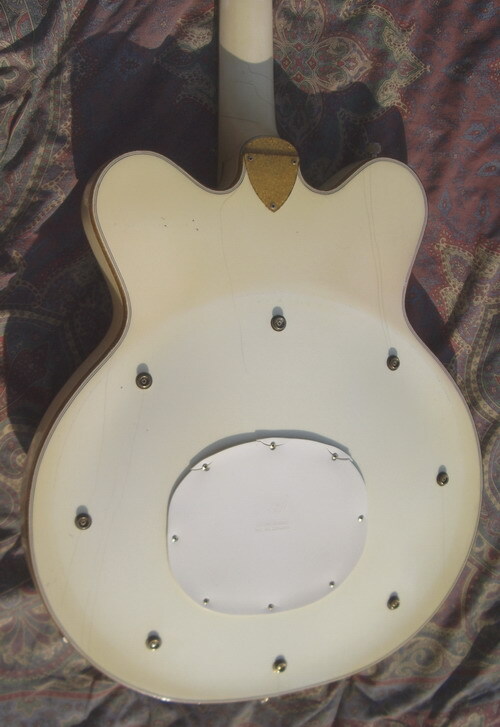 With all of its newly added knobs, switches, and questionable gizmos, the White Falcon was a far cry from the elegant, straightforward guitar introduced a decade earlier. 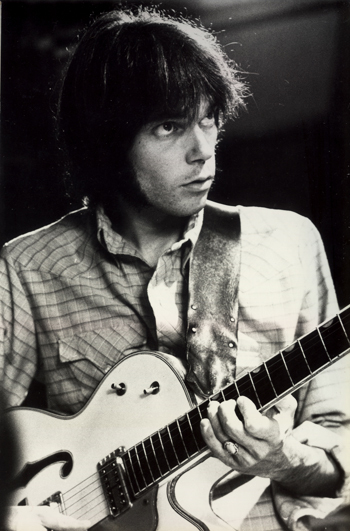 After Baldwin purchased Gretsch in 1967, the White Falcon remained relatively unchanged for several years. 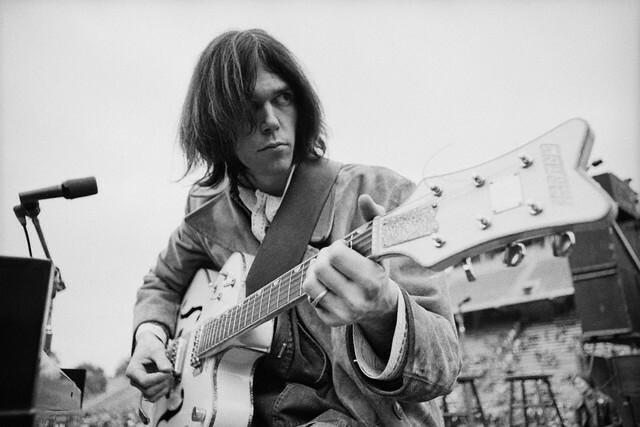 But by the early 1970s, Baldwin started simplifying the guitar and incorporated their own style changes, including smaller F–holes, square pearl block neck inlays, a wire handle Bigsby vibrato, and a squared–off pickguard. The Baldwin/Gretsch marriage was a rocky one, and looking back, Baldwin’s strengths were always in making pianos and organs rather than guitars. 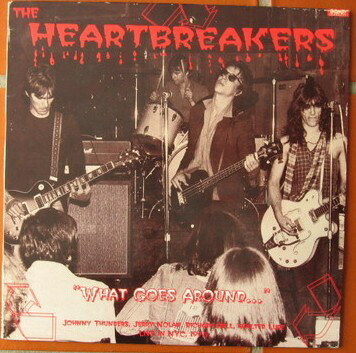 Between moving the factory from Brooklyn to Arkansas, surviving several factory fires, and misfiring on numerous new product launches (the Beast, the Committee), Gretsch guitars limped along throughout the ‘70s until production ceased entirely in 1980. 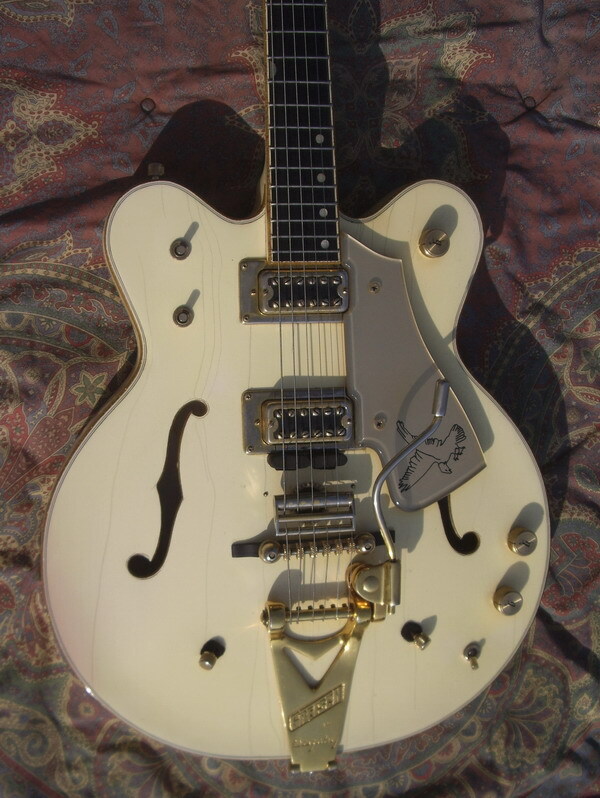 Due to their limited production in the 1950s (Gretsch guru Ed Ball estimates fewer than 300 were made), White Falcons made between 1955 and 1959 are highly collectible, often commanding prices in the $25,000 range. Rarer stereo models can fetch even more. White Falcons of the 1960s are less expensive, but stereo models with all of the Webster gadgets can still run upwards of $18,000. In retrospect, Jimmie Webster’s instinct to create a one–off “Dream Guitar” prototype way back in 1954 has proven to be right. 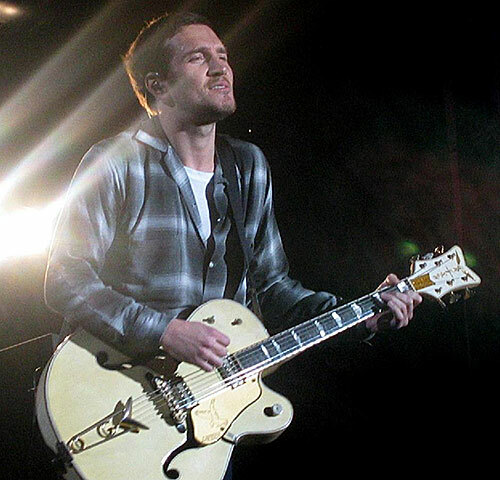 Today, the White Falcon is an icon and remains on many players’ bucket lists of guitars to own. Its stunning beauty has endured as well, still causing hearts to skip a beat and blood pressures to rise. And today, more than 60 years later, there’s still nothing else like it on the planet. 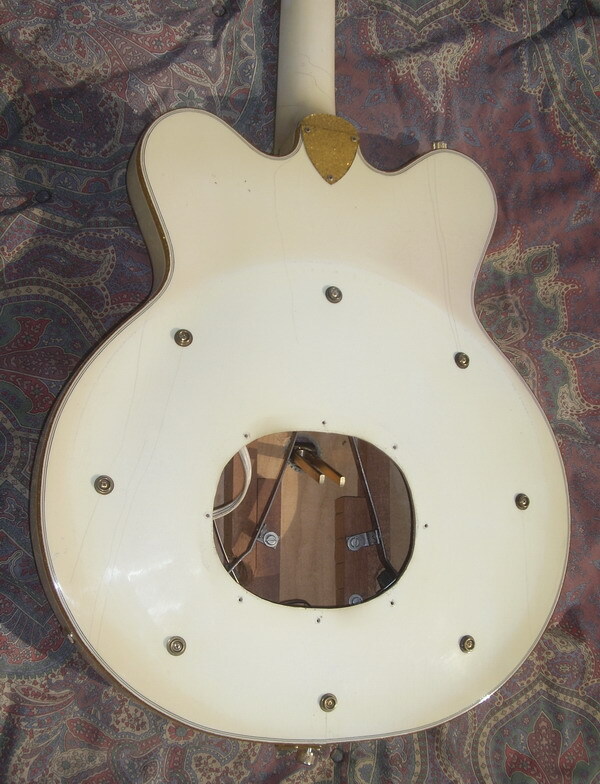 This Gretsch White Falcon Stereo in photo is the twin sister in site for sell.. was ordered in 1980 by Duke Gainous who is reputed to be one of the original Ink Spots from before World War 2. Duke Gainous is a local band leader and entertainment legend in the Daytona Beach FL area, He came here in 1946 after World War 2. He organized and led the first orchestra at Bethune Cookman College. 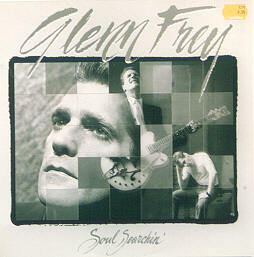 He has played with Louis Armstrong, Ray Charles, has performed for the King of England. 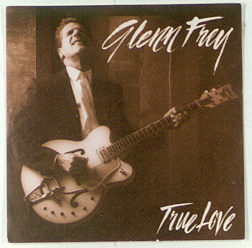 He has made his living leading his own band since 1946. Duke retired from playing in 1998 after a 21 year gig at a local nightspot where he missed only 4 nights in 21 years. Duke will turn 83 in a few weeks.